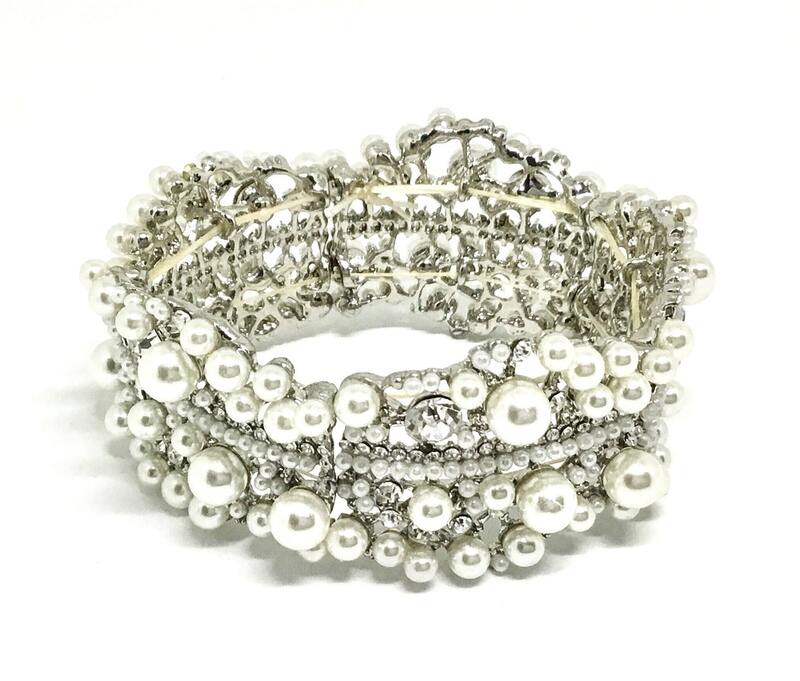 This is a beautiful vintage inspired crystal and faux pearl stretch expandable bracelet. 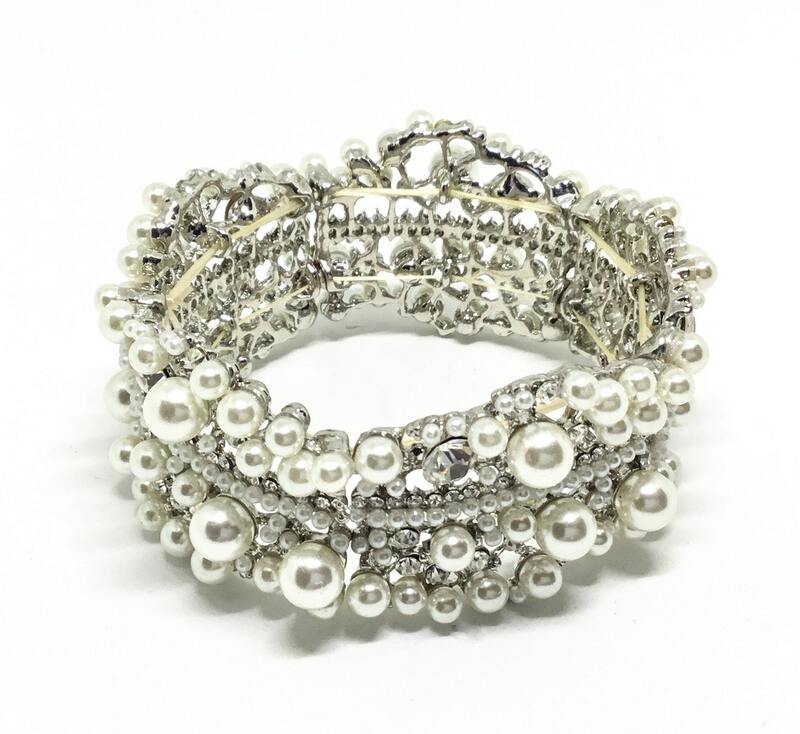 It is 1 1/4” wide and stretches from a small to medium wrist. 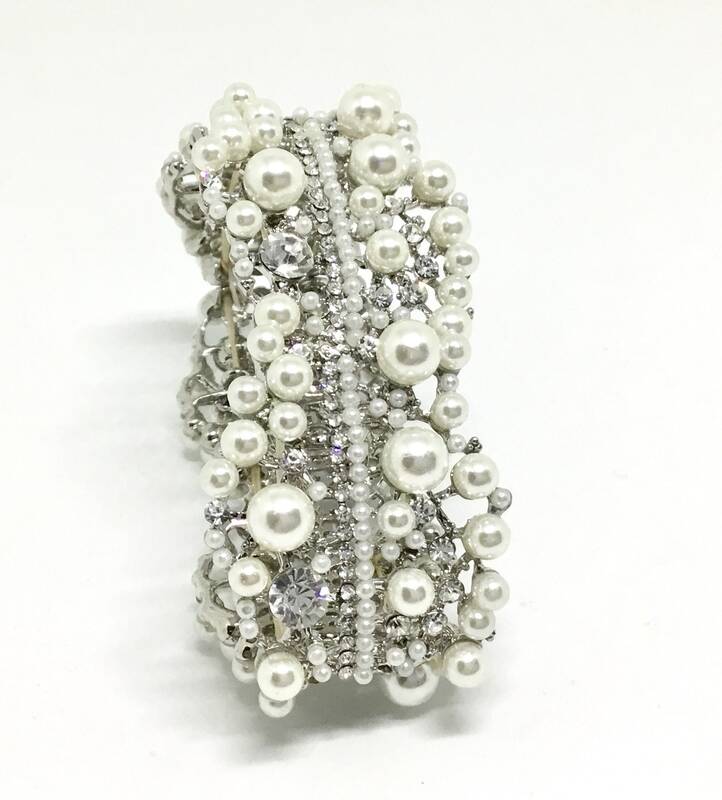 It has two fine inner rows of tiny faux pearls and clear crystals. 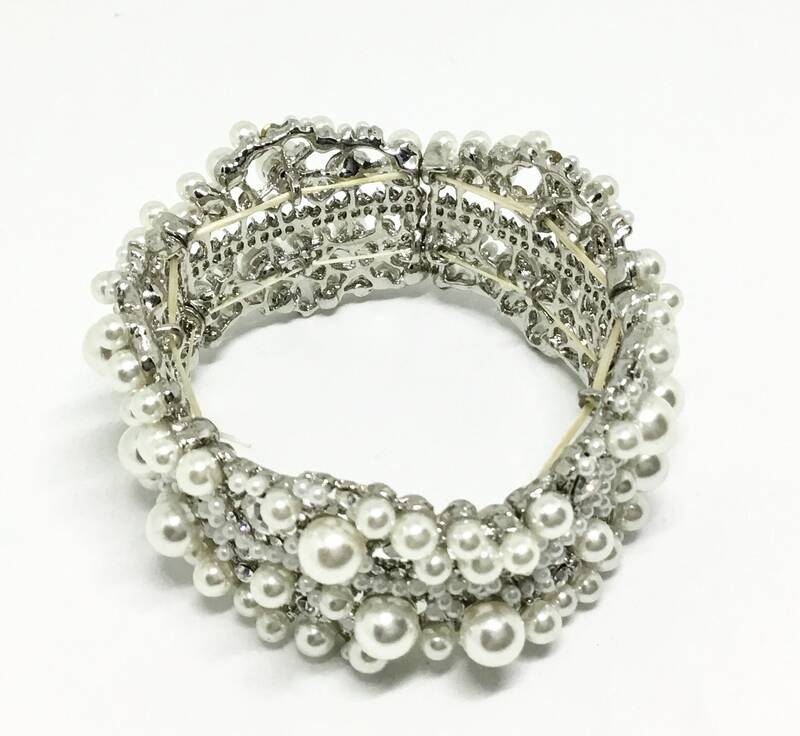 The rest of the bracelet is a sweet pattern of larger clear crystals and faux pearls. It is in new condition. 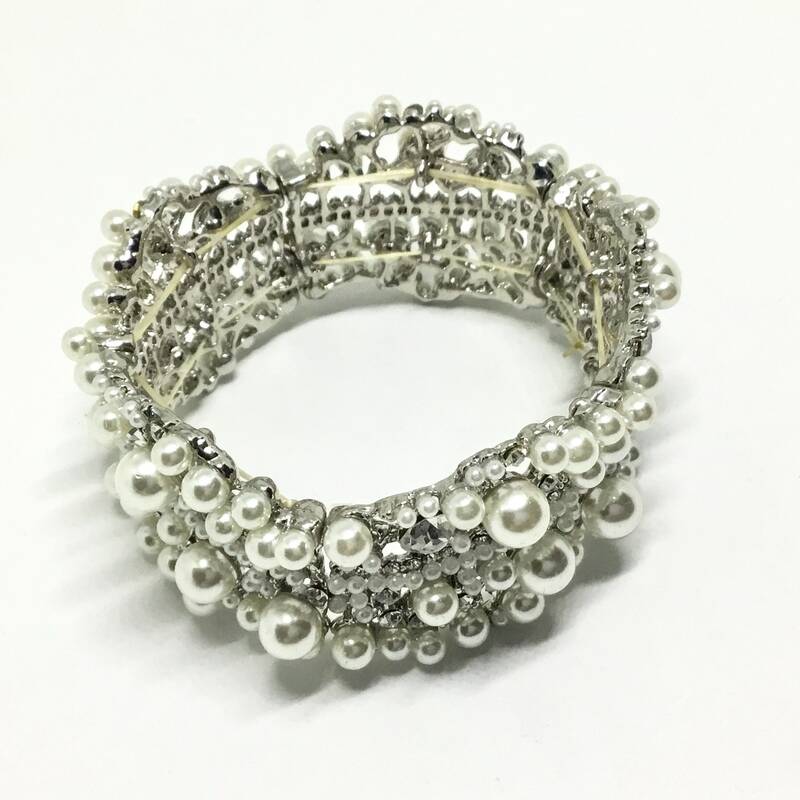 Use this romantic bracelet as a bridal piece or use it in your bridal crafting. Use it asa decoration or even cut the elastic bands and use the pieces in a decoration. 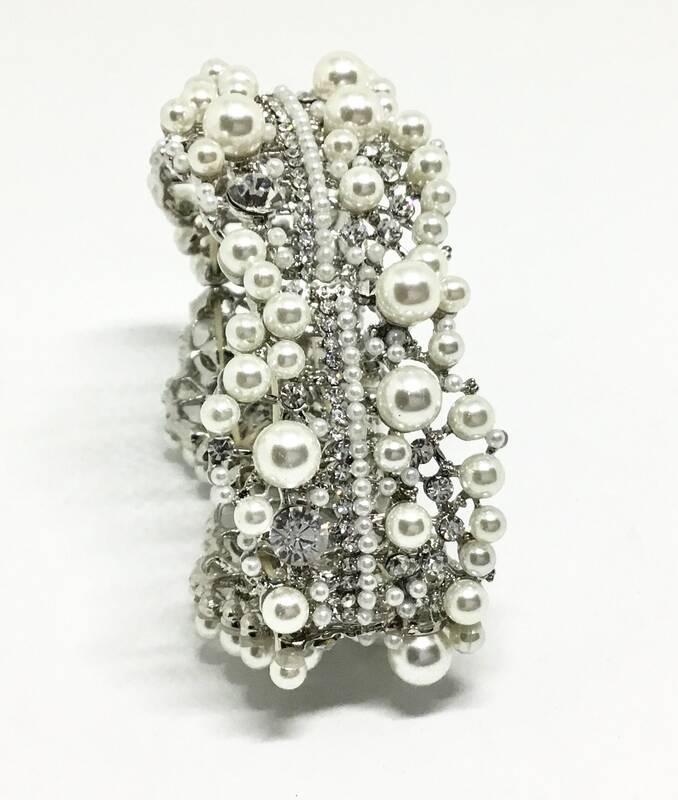 It is a beauty!